American actor, comedian, writer and producer Paul Stephen Rudd has played prominent roles in the films Wet Hot American Summer, Clueless, The 40-Year-Old Virgin, I Love You Man, Knocked Up, Ant-Man, and Anchorman: The Legend of Ron Burgundy. He first appeared on the screen as Paul Stephen Rudd in his debut role, Halloween: The Curse of Michael Myers. He had a recurring role as the character Mike on the popular NBC sitcom Friends. His father worked as a historical tour guide and his mother worked as a sales manager. He married his long-term girlfriend, Julie Yaeger, in 2003, and the couple had two children together. He starred alongside Steve Carell in The 40-Year-Old Virgin and in Anchorman: The Legend of Ron Burgundy. The 47 year old was born April 6, 1969. American actor best known for his role as Manny in director Tyler Perry’s 2009 film, I Can Do Bad All By Myself. He also starred in 2012’s Unconditional. He had one of his first television roles in a 2005 episode of the series, Strong Medicine, as Lavonne. He has also voiced the role of Gossamer on The Looney Tunes Show and the role of Darwin in The Amazing World of Gumball. 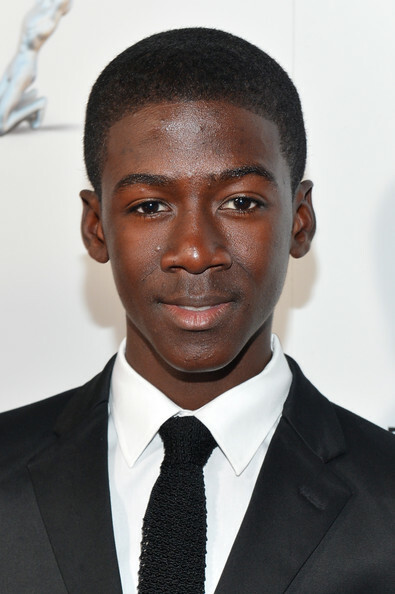 He is the youngest of three boys and his family comes from Ghana. He played a voice role in the animated 2009 film, The Princess and the Frog, with Keith David. The 17 year old was born April 6, 1999. Played zombie apocalypse survivor Merle Dixon on the television series The Walking Dead. Dixon was his first recurring role on television, though he has guest starred on multiple shows since 1986. He also plays Yondu Udonta in the 2014 film Guardians of the Galaxy. He made his acting debut as the star of the 1986 film Henry: Portrait of a Serial Killer, in which he played Henry Lee Lucas. He widened his career in the 2010 James Felix McKenney horror film Hypothermia. He grew with his mother and eight brothers and sisters in Chicago. He played a major role in the 2011 thriller Mysteria, starring Billy Zane. The 61 year old was born April 6, 1955. Best known for his role as Dr. John Dorian (J.D.) on the television show, Scrubs. In 2014, his partly Kickstarter-funded film, Wish I Was Here, premiered at Sundance Film Festival. He was involved in a performing arts training center which produced other stars and friends such as Natalie Portman, Joshua Radin, and Mandy Moore. He wrote, starred in and compiled the soundtrack record for his directorial debut film, Garden State. He dated model Taylor Bagley from 2009 to 2014. Natalie Portman starred in Garden State-a film he directed, wrote and starred in. The 41 year old was born April 6, 1975. Television actor who is best known for his role as Dr. Wes Maxfield in The Vampire Diaries from 2013 to 2014. He also starred in the 2014 film Skybound and was cast to play Eddie Thawne on The Flash and Elias Harper on Quantico. He studied acting at the Queensland University of Technology (QUT) in Brisbane, Australia. He had recurring roles on such television series as The New Inventors, Headland, and Forensic Investigators. He grew up in Zimbabwe and Australia. He is a cousin of popular British film actor Hugh Grant.